EA’s newest game, Apex Legends, seems to be breaking more and more records each day it’s out. It is another BR game, a genre that almost all gamers have fallen in love with by now. However, it manages to be unique in such an oversaturated genre. I think most players would agree that its gunplay really sets Apex apart from the competition. And, with gunplay being the unique aspect of the game, comes an extremely competitive environment. Today, I will try to assist you in reaching the goal of being the best by outlining which guns you should always grab and which you should spit on. 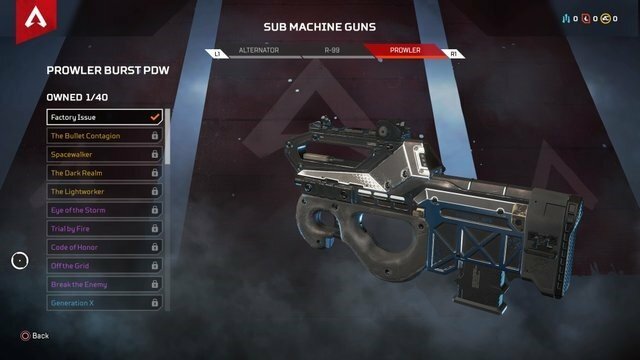 Here is ProSettings.com’s Apex Legends weapon guide. Quick note: I won’t include any of the gold weapons on this list, as they are meant to be op. 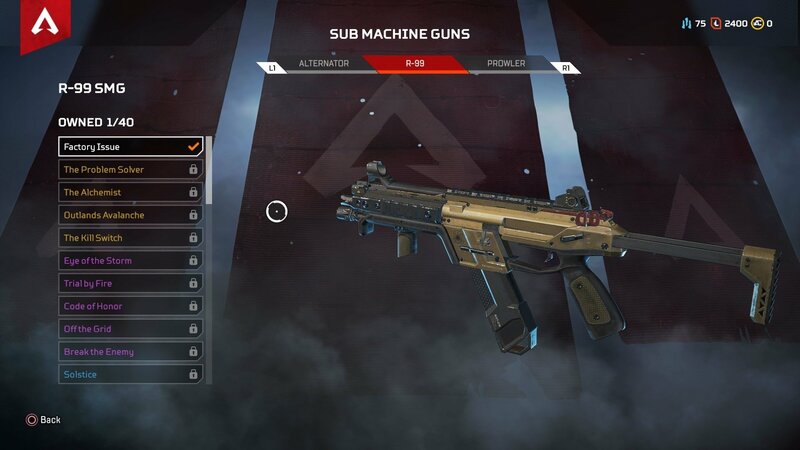 Starting off with the most famous class of weapon in video games, let us take a look at the variety of assault rifles in Apex Legends. The R-301 is a must for medium to close range engagements. 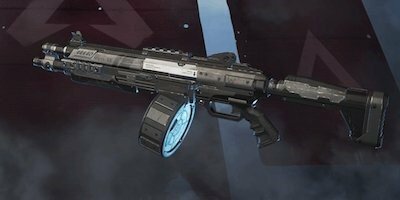 It is the weakest assault rifle in its class, yet it boasts a rather remarkable accuracy and rate-of-fire. The R-301 takes light ammo making it unique in comparison to its brothers. The VK-47 Flatline is middle of the pack in body damage compared to the rest of the assault rifles. However, it has the highest headshot damage in its class. It performs best in medium range engagements and can be used in long-range gunfights. The VK-47 uses heavy ammo. The Hemlok Burst AR has the highest damage output in comparison to the other Assault Rifles. It is the only 3-round burst Assault Rifle which makes this weapon superb for both medium and long range. The Hemlok takes heavy ammo. Moving on now to everyone’s favorite little guns that could. Let’s have a look at Apex Legends’ selection of sub-machine guns. The R-99 is made for close quarters, fast pace engagements. It has lackluster accuracy and damage, but the R-99 is a bullet hose. Easily beating out the rest in its class, the R-99’s high fire rate is undoubtedly its best quality. However, the 18 round magazine leaves something to be desired, mainly because of its amazing fire rate. The R-99 uses light ammo, like all the SMGs. Hey, you know that gun you always confuse with a pistol? Yeah, that’s actually a pretty solid SMG, pick it up. The Alternator does not have the high fire rate of the R-99. However, it does have much better accuracy. Which allows you, the player, to utilize its slow fire rate effectively. The Alternator has a 16 round magazine and takes light ammo. The Prowler is like the red-headed-step-child of Sub-Machine guns. It is unique in its fire rate, as it is the only burst SMG. This does not help the Prowler out, especially in close quarter engagements. 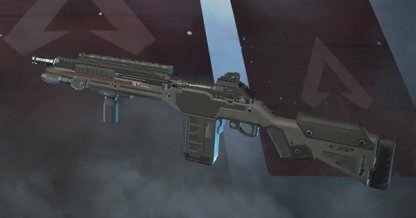 However, if you manage to find the select fire attachment, the Prowler PDW quickly becomes the best SMG available to you. It’s blistering fire rate, high magazine capacity, and medium damage all make it an excellent choice close quarters combat. If, as I said, you do find that select fire attachment. Featuring high magazine capacities and even higher adrenaline boosts. Light machine guns are useful in most situations. 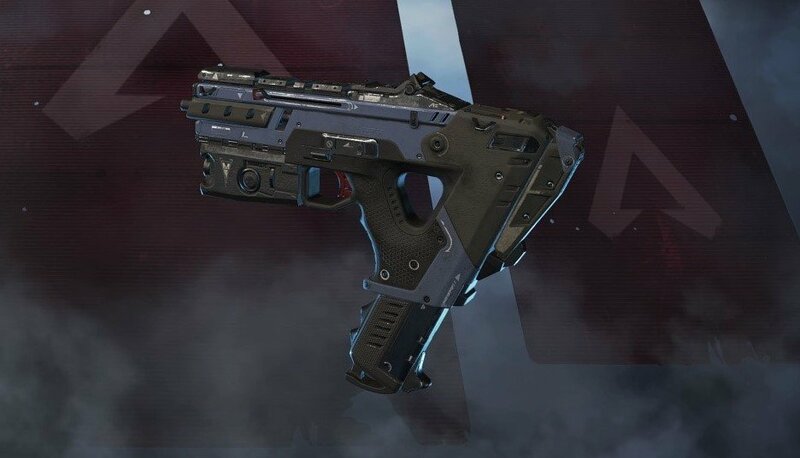 Apex Legends only has two of these well-rounded guns. Let’s check them out. The M600 Spitfire statistically is the better LMG than the Devotion. It has higher damage and has an automatic fire mode, unlike the Devotion’s odd spool-up mechanic. The M600 takes heavy ammo and is best at most ranges. 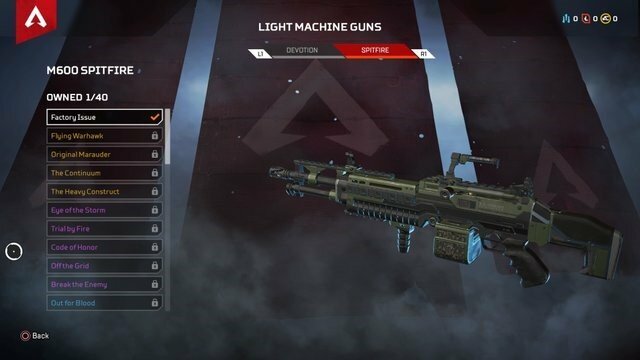 The Devotion LMG has a unique spooling mechanic that starts the fire rate off very slow but eventually builds it up to an average pace for its class. The Devotion has lower damage overall when compared to the M600 but takes energy ammo. Which is contextually good. The Devotion is best at most ranges. Now let’s talk about the pistols. Apex Legends’ pistols are easily the most unbalanced class in the game. The Wingman is one of the best guns in the entire game and RE-45 is a solid second place finish. Last and certainly least, the P2020 and Mozambique are essentially useless. Let’s talk stats. As previously stated, the Wingman, though it is a pistol, it most definitely one of the best guns in the game. It’s insane damage output, and the Skull Piercer attachment is a combination that makes the wingman so good. Even without the Skull Piercer, the Wingman is still a definite grab if you find one. But be warned, it has low accuracy and fire rate so it will require some practice to use correctly. Once you get it down though, you will be almost unstoppable…that is unless you run into Shroud. The Wingman takes heavy ammo, has a six-round magazine, and is best at all ranges. As the only other pistol worth your time, the RE-45 packs’ impressive damage and a very high fire rate. The only downfall of the RE-45 is its crazy recoil. The RE-45 has a ten round magazine and takes light ammo. The Mozambique Shotgun has a three-round magazine, takes shotgun shells, and is probably the worst gun in the game. Rather than giving you a detailed account of the Mozambique, I’ll list some things that would kill someone faster than the Mozambique. The wind, your fists, Caustic’s gas, fall damage, and landing on that damned supply ship are all more viable options to kill your enemies than the Mozambique. And if you think I am exaggerating, you haven’t used it. The P2020 isn’t necessarily a bad gun, it’s just not as good as the Wingman or RE-45. It has a magazine size of ten rounds and uses light ammo. It has solid damage and accuracy stats but just isn’t worth using over the weapons mentioned above. Shotguns. Some of the highest damaging and often overpowered weapons are housed in this class. Though it is the smallest class, let’s go over what EA has given you in Apex Legends. The Peacekeeper is a monster of a gun. 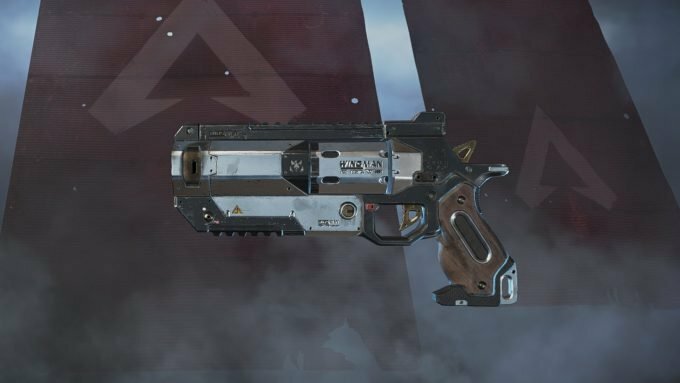 It is considered to be one of the best weapons in Apex Legends currently (outside of the golden weapons). It has outstanding overall stats and when coupled with the Precision Choke Hop-Up, can become a medium ranged weapon. Yes, you read that right, a shotgun that is able to do significant damage at medium range is almost unheard of today. The Peacekeeper has a six round magazine and takes shotgun shells. The EVA-8 Auto shotgun is very similar to the P2020 pistol. It is not a bad weapon by any means, but it just isn’t as good as the other options in its class. It has an eight-round magazine and uses shotgun shells. 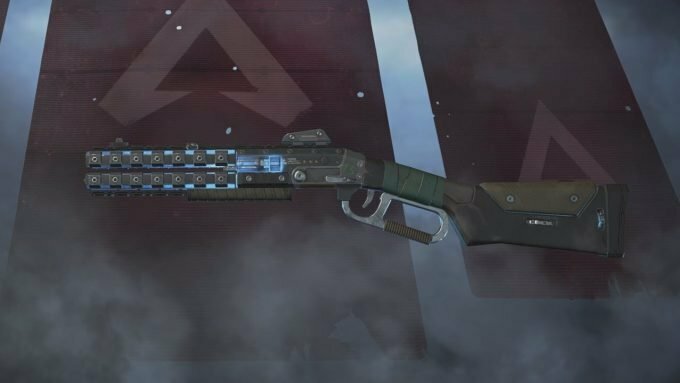 For our final category, we’ll analyze the sniper rifles offered in Apex Legends. The Triple Take is a rather odd sniper. It has the unique trait of firing three rounds simultaneously whenever the trigger is pulled, hence the name. It gets weird when you learn that the spread between the bullets does not remain constant throughout the trajectory. Essentially, the bullets on the outside of the spread just get further and further away from the bullet in the center the longer they travel in the air. This makes longer shots very difficult to hit. That on top of the rarity of energy ammo and the Triple Take quickly becomes unreliable. The G7 Scout is a multi-purpose weapon. If you can get it fully kitted the G7 has a solid damage output, accuracy, and a rather high rate of fire. It has a ten round magazine and uses light ammo. 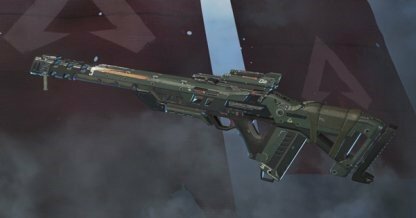 The Longbow DMR nearly deals double the damage of the G7 Scout. While the Longbow doesn’t boast a fire rate nearly as fast as the G7, it still performs similarly to the Scout. If you manage to get the Hop-Up attachment for a boost in headshot damage, the Longbow quickly becomes a long-range Peacekeeper. 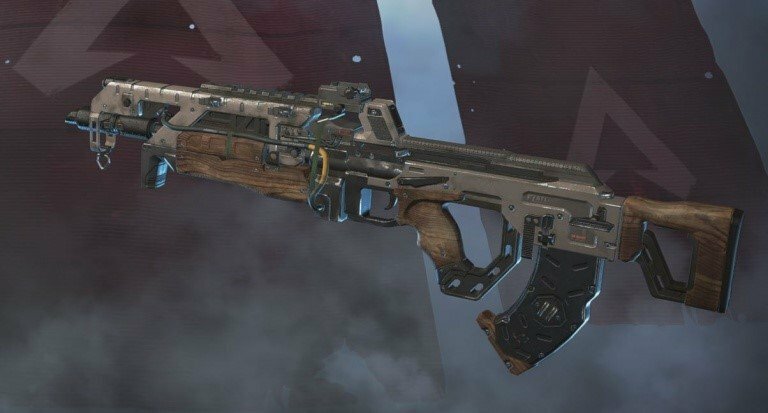 Do you agree with our picks for the best weapons in Apex Legends? That’s it, I hope you enjoyed this guide. 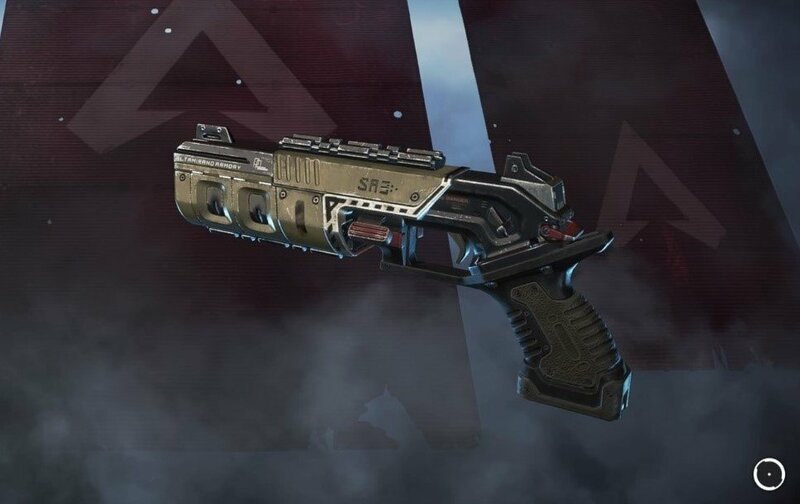 What do you think is the best weapon in Apex Legends? If you have suggestions, please feel free to leave a comment.